In a few weeks the new INSPECTOR S will be available. The product of our partner company HEIGHT TECH is a compact entry-level solution for professional industry inspections. 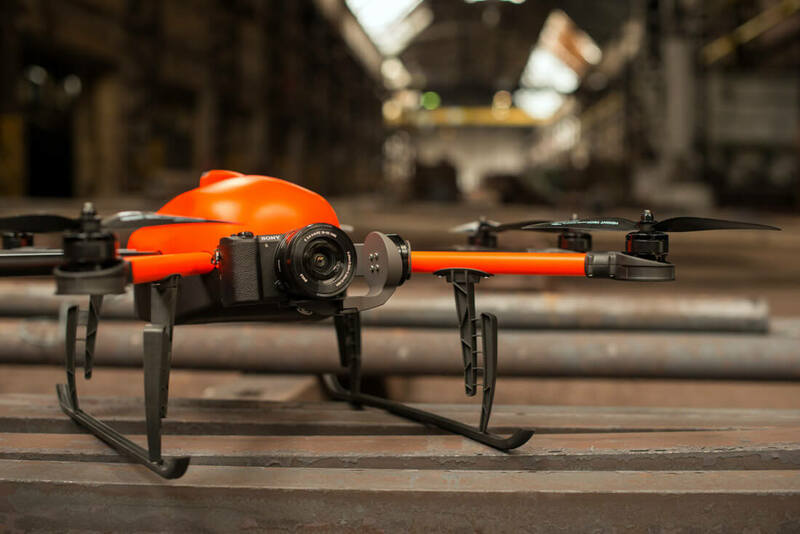 Equipped with useful features for small-scale applications, the product is aimed at customers looking for high quality copter technology in a compact form. With a 180° pivotable camera gimbal INSPECTOR S is able to inspect buildings and industry sites from any angle imaginable, since the sensor system can be tilted straight upward. The main advantage for customers and users: better and faster industry inspection, leading to easy and cost-efficient inspection works. Through a newly developed flight control and an improved GNSS the agile UAV stands out from other models. The high precision position hold function guarantees for a comfortable and user-friendly application. The dust and waterproof housing protects the sensitive electronic components from the rough conditions in every day inspections. Laid out as an octocopter, the unit provides optimum engine redundancy, securing possible propeller or engine failures. The innovative frame, made of high-quality aluminium, makes the UAV extra lightweight. SPECTAIR will integrate the system into their portfolio and use the INSPECTOR S for industry inspections. Further information on the new INSPECTOR S will follow soon.